Sam joined Watsi on September 5th, 2015. 11 other people also joined Watsi on that day! 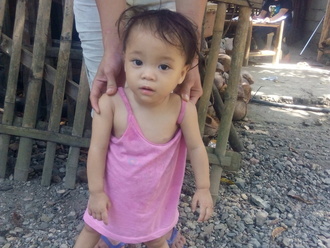 Sam's most recent donation traveled 8,200 miles to support Jenelyn, a 13-month-old girl from Philippines, to fund malnutrition treatment. Sam has funded healthcare for 16 patients in 6 countries. Austine is a curious one-year-old boy from Uganda. He is the first child born to his parents, Scovia and Ronald. Austine's father, Ronald, works as a cook at a lodge. His mother, Scovia, stays at home to take care of him. Austine just started walking and is learning how to kick a ball. 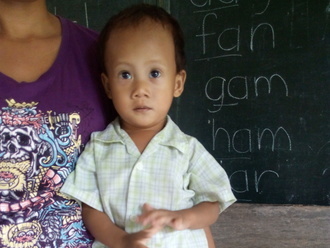 Austine was born with a hernia in a sensitive area, leaving his testicles undescended. On April 4, Austine will undergo surgery at Bwindi Community Hospital, our medical partner's care center, to correct his hernia. Our medical partner, The Kellermann Foundation, is asking for $179 to cover the cost of his treatment. 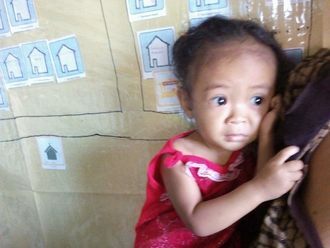 Scovia looks forward to taking Austine to school when he is older. She is also grateful to all the donors for their help. She says, "Thank you to all the donors for supporting us." Meet Yuvraj, a six year-old boy from Nepal. “Yuvraj's father works in Qatar to make ends meet for his family back home. And his mother looks after the family of four - his grandparents, his uncle and himself,” says our medical partner, Possible. 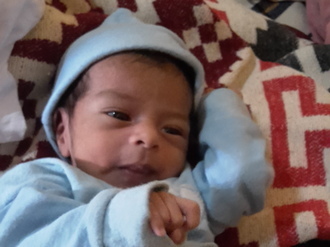 Yuvraj is in kindergarten and enjoys playing with his friends and listening to stories. “Yuvraj was playing on the back of a truck when he lost his balance and fell down, fracturing his right elbow. He has been in immense pain since then and his hand has considerably swollen too,” says Possible. In the area of Nepal where Possible works, getting proper care outside of a hospital is difficult for patients with fractures. In these areas, there are not enough people or equipment to provide proper first aid. 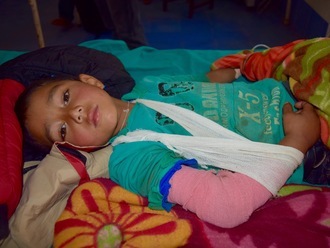 For $224, we can fund a treatment that will heal Yuvraj's fracture. The treatment will ensure that Yuvraj's bones are aligned correctly, and a plaster cast will allow the fracture to heal properly. Within a month's time, he will be able to do all the activities he was doing before. The success rates for this treatment are nearly 100 percent. Let's help Yuvraj get back to good health and fund this treatment. “Yuvraj has been badly injured, I am worried if his treatment will be successful,” says his uncle.